By connecting Favro to your Microsoft or Google Calendar, start and due dates on cards that are assigned to you will automatically show up in your calendar. This will allow you to set reminders of upcoming due dates so you never miss a dead line. 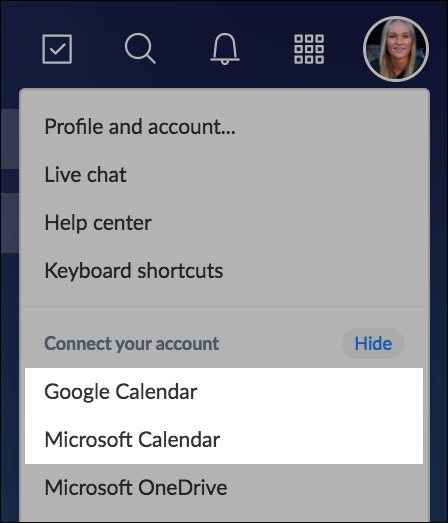 Both calendar integrations are enabled by default, all members of the organization can choose to connect their Favro account with their calendar. Click your avatar in the top right corner and choose which calendar you would like to connect to Favro. Sign into your account and click Next. 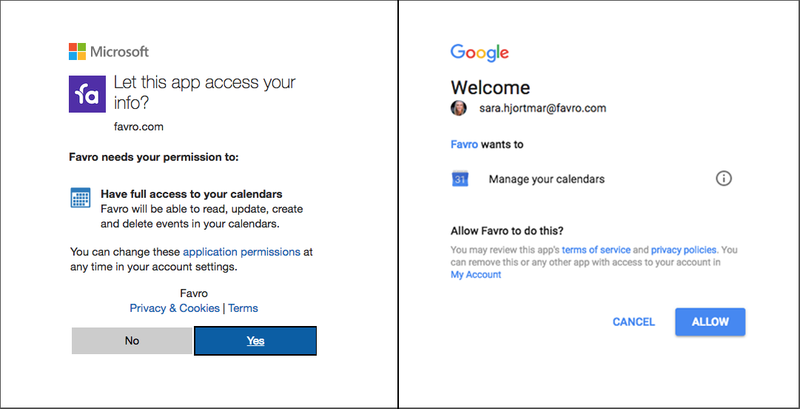 Give Favro permission to access your calendar. Remember that cards added before enabling the integration will not appear in your calendar. Only cards created, assigned to you with start and due date, after enabling the integration will be visible in your Google calendar.